The weather was beautiful around my area. It got even warmer as I drove to Palo Alto in the afternoon for an outing with some people from Gogobot and their friends. We did a few hours of ceramics painting at a place called Create It. It brought me back to art class in high school. They had a wide selection of items to personalize, from vases to mugs, even pop culture character items from Marvel, Hello Kitty, and Angry Birds to name a few. It wasn’t too busy, and the session was actually relaxing and sort of therapeutic. There was even a long moment of silence because we were all focused on what we were working on (heheh). The finished products should be ready some time next week. Looking forward to using my ninja mug with cookie compartment when it’s finished! Such focus. Many concentration. Wow. Before and after for my ninja mug. All our items ready to hit the kiln. A treat was well deserved after putting in work with our ceramic creations, so we headed to Tin Pot Creamery for some ice cream. This has been on my to-eat list for some time, so I was pretty excited. More customers soon followed after we came in. I had sampled their Mootella (basically their version of Nutella in ice cream form), but instead chose a scoop each of Four Barrel Coffee and Mint Chocolate Chip. Great decision and a good way to cool down in the low 80s heat. Four Barrel Coffee and Mint Chocolate Chip. PheNOMenal! After finishing our orders and chatting for a bit, we stopped by another place that one of the girls suggested called Tout (pronounced “too”) Sweet. As soon as I heard they sold macarons, I was more than ready to check it out. They also sell pastries and other types of sweets. I got a box of 6 to take home, half of which I’ve tried so far. It’s a bit sweeter than other macarons I’ve tried. I’ll have a better overall opinion of them once I finish the rest. Lovely display of macarons upon entering. Wall featuring other sweets and gift sets. Today I’m just going to chill out with family during the day, then brace myself for the 90 minute season finale of The Walking Dead. The struggle of waiting until the 6th season will be very real. Hope you enjoy the remainder of the weekend! A challenging question already?! Nah, not really. Lip gloss is a bare essential for me. Peace out, eyeshadow. So either chop it off knowing that it’ll grow back eventually (the question isn’t going into specifics here) or never cut it again. I’ll go with the latter. Although I’m not a big fan of the color pink, it’s a better blush color for me than coral. Clothes shopping spree, FTW! I have more than enough makeup. I confess, I’ve used brownish eyeliner as a lip liner during high school. Next question! Sephora hands down. More brands to choose from. 7. Would you rather only use one eyeshadow or one lip colour for the rest of your life? I am a neutral freak when it comes to lip products, so I’m good with one lip color. Bright colors scare me. Dark nails it is. I’ll sacrifice the eye product. I don’t like to be bare lipped all the time. This is too easy. I put my hair up for work, and it’s always been in a bun. 12. Would you never be able to paint your nails again or never use lipgloss? I’m OK with not being able to paint my nails again. I can’t really have them polished anyway because of work. Lame, I know. If Sharpie were the new brow pencil, let me at it. Again, totally OK with keeping my nails bare. Feel free to copy the questions and answer them on your blog. I look forward to seeing what your answers are! 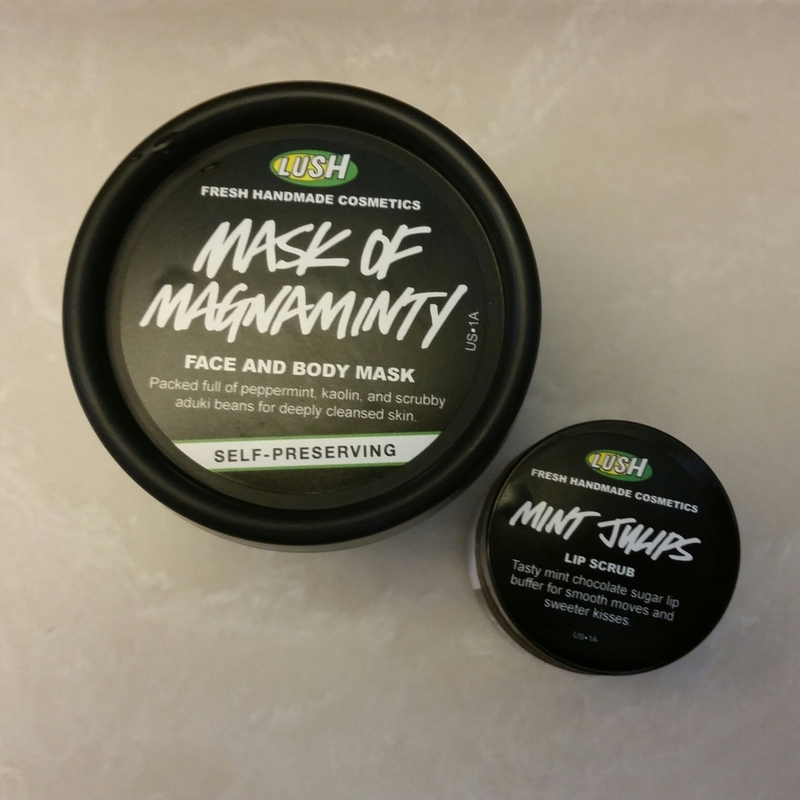 Paid LUSH another visit to restock on their Mask of Magnaminty. I chose the smaller size since there was too much left over from the larger one I first bought after it reached its expiration date. I’d rather not see an awesome product go to waste. 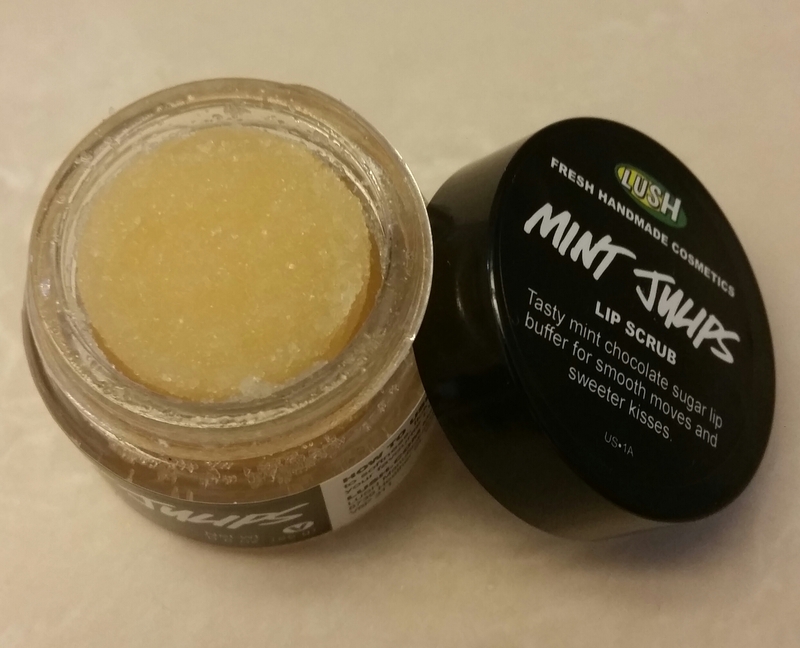 I had also checked out their lip scrubs last time and made sure I left with their Mint Julips. It’s a small pot, but it’ll last for a while. I only need about a pea sized amount to do its job, which by the way is a great one. The ingredients in it are natural and edible, so you can lick it off once you’re done using it. I actually just rinse it off with water, but to each their own! Make sure to apply lip balm afterward to seal in your suddenly smooth lips. I was happy to have come across this as I had used Philosophy’s Kiss Me lip scrub years ago, but eventually misplaced the tube. Boo. That, plus I like just about anything minty. However, if that’s not your thing, they also have the scrub in Bubble Gum and Popcorn. I had a sudden urge to create this post after receiving something in the mail today. 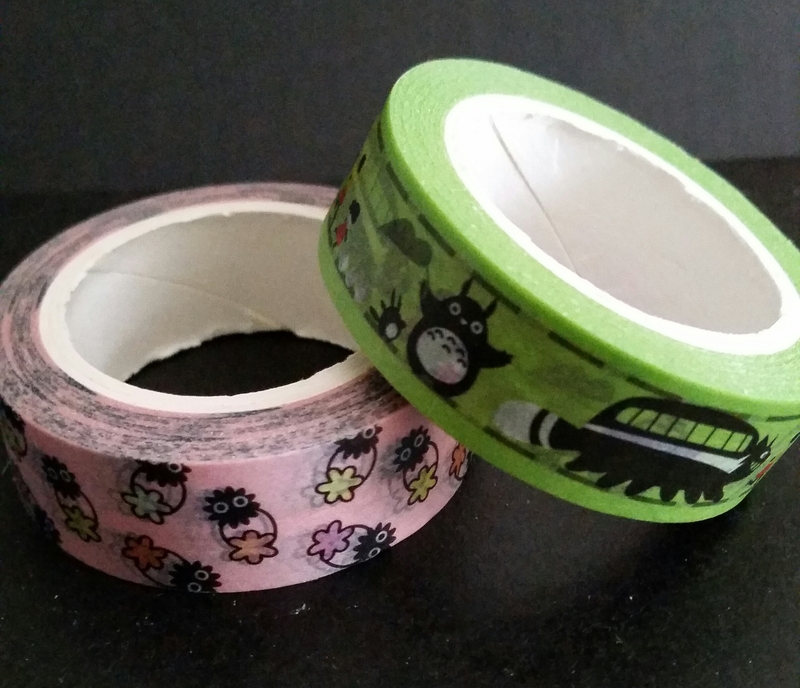 I had ordered some adorable Totoro washi tape from an online store over a week ago. Anything having to do with Studio Ghibli will always grab my attention. It definitely made my day to see the designs on them. I’ll surely incorporate these into my scrap booking somehow. Susuwatari (soot sprites) and Totoro washi tape. Kawaii desu ne?! I haven’t been a fan of Studio Ghibli for too long, but ever since I watched my first movie from them a few years ago on Netflix (Howl’s Moving Castle), I loved it and became eager to check out the other films they’ve released. The latter eventually had me purchasing some of the movies on DVD. There’s still a few that I’m missing, but it looks pretty good so far. I do plan to own every movie from them if possible. 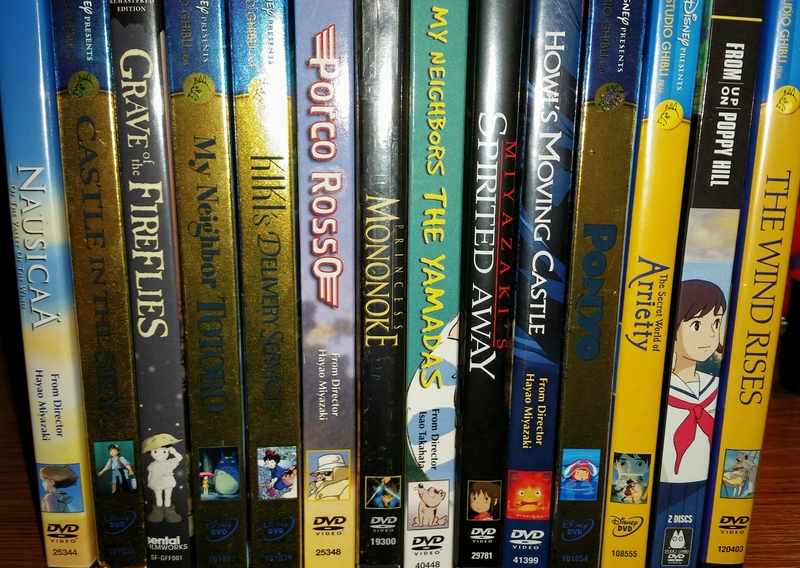 My lovely yet incomplete Studio Ghibli collection. If you’re a fan like I am, you’ll notice that I have all of Hayao Miyazake’s films with the studio. His work is simply amazing. What can I say? He’s my favorite SG director! I even attempted to do a cosplay of one of the Ghibli characters. Although the outfit I put together for Arrietty looked great, the large hair clip I tried to make for the costume didn’t work out too well. I could possibly try to have another go at it for SDCC. I’ll think about it. Do you have a favorite Studio Ghibli movie or character? Feel free to let me know. My friends and I are joining hotel registration (aka Hotelpocalypse) tomorrow morning. This post has some great info when it comes to choosing one to stay at during the convention. For those of you that have survived the Comic-Con badge gauntlet over the past few months, your registration journey will complete with the Hotel Sale on March 24 at 9 am pst. I know it feels like we have been waiting a long time but this is over two weeks earlier than last year’s reg date! Unless you are a Jedi Master, this can be an intimidating experience and it can feel pretty daunting trying to choose a hotel just based on price or distance. For you first timers, here are a few details to consider when choosing a hotel for the Con (with my personal favorite is listed below too). Then a few ‘values’ to help you make your final decision. From the time I began wearing eye shadow at 18, I never gave a second thought to using something prior to application to make it last longer. In fact, several more years passed before I finally decided to prime my eyelids. The first products I used were the paint pots (Painterly and Soft Ochre) and paints (Bare Canvas and Sublime Nature) from M.A.C. They did a pretty good job, however, I did see occasional creasing. Yay, oily eyelids! *sarcasm* I then switched over to bareMinerals Prime Time Eyelid Primer, which has been a mainstay in my small but often rotating arsenal of eye products. Some times I would alternate between that and a sample size tube I got of Too Faced Shadow Insurance. They’re both just about empty, so I was more than due for a replacement. 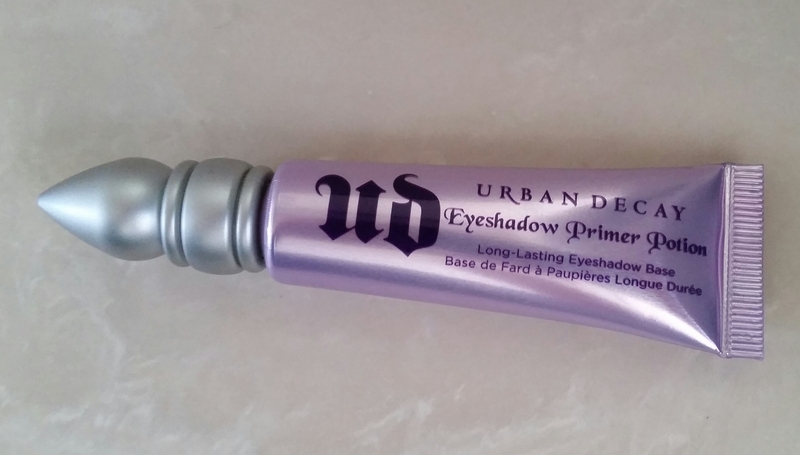 Ulta’s 21 Days of Beauty saves the day yet again with a promo for their UD Primer Potion. Down to $10 from their original price of $20, I’d be a fool to ignore this deal. Plus I’m already a fan of UD because of their NAKED shadow palettes, so why not add another item to my collection? This will last me a good while since I don’t use eye shadow too often. From what I know, the primer used to have a sponge applicator wand, but has since been changed to a precision tip, meaning more product and more bang for your buck. Sah-weet! It has a similar creamy consistency as the bareMinerals and Too Faced. And guess what? No creasing! Looks like I made a good investment here. This comes in 3 other formulas (Sin, Eden, and Anti-Aging), but I’m very much content with the original. What took a few weeks felt more like a month with the order I placed online with JoAnn during their $1.99 shipping promotion. I’ve kept much of my Project Life activity on hold since I had to wait for these goodies to get to me. Definitely relieved when they finally arrived! 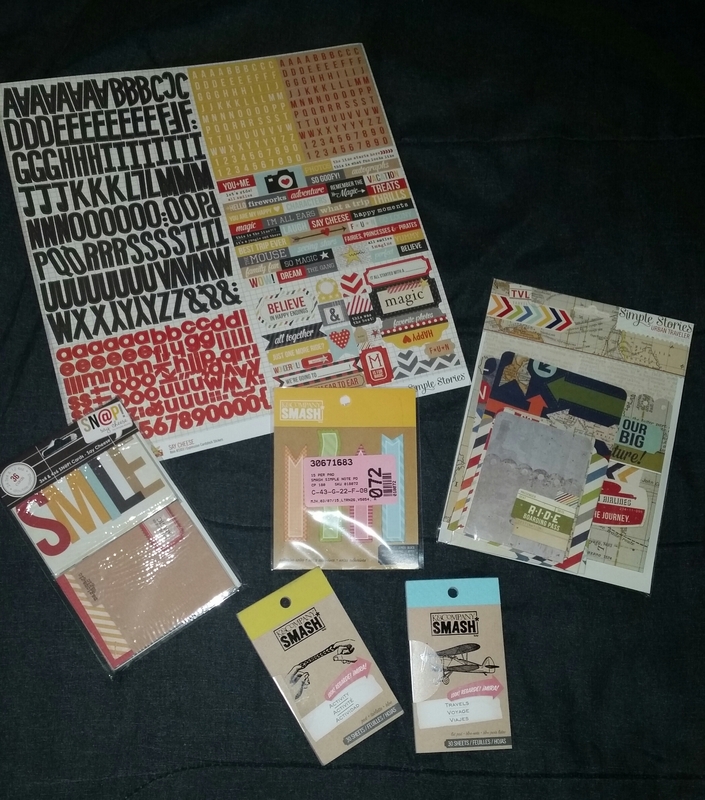 Clockwise from top left: Simple Stories “Say Cheese” expression card stock stickers, SMASH adhesive note pads, Simple Stories Urban Traveler Sn@p! pockets, SMASH Travel notepad, SMASH Activity notepad, Simple Stories Sn@p! 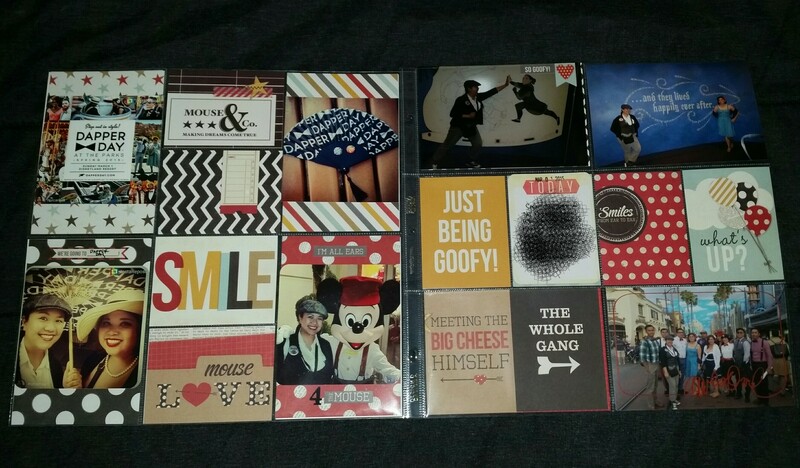 “Say Cheese” 3×4 and 4×6 cards. 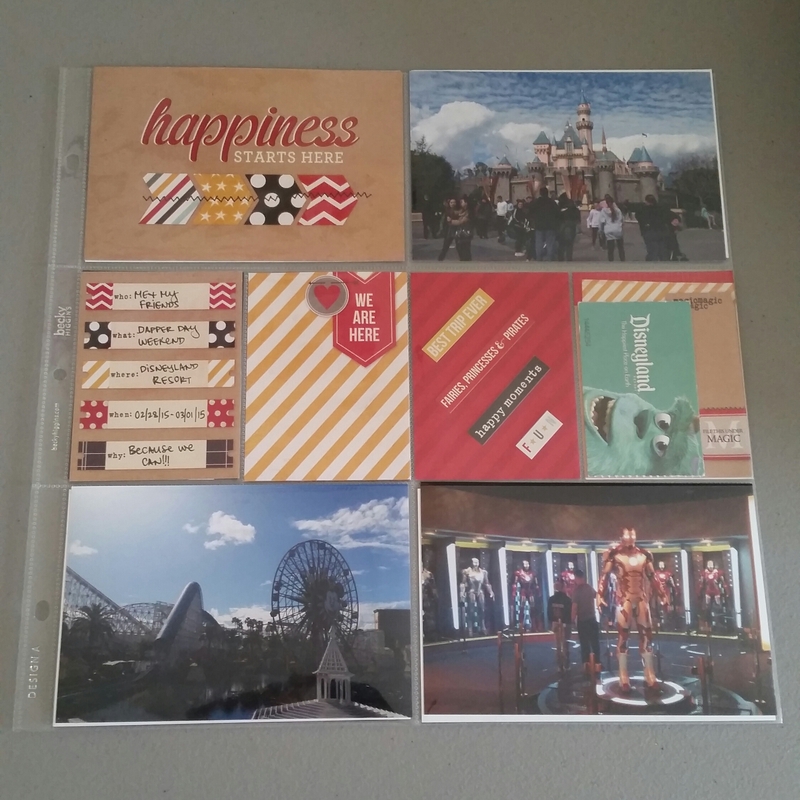 I immediately went to work on the pages from my Disney trip and used a good amount of the cards and stickers. The Travel SMASH pad and pockets will be used for a trip I have coming up in May. The Activity pad was just something I purchased out of curiosity. The pages in it look interesting to say the least. I’ve had lots of fun putting these pages together. The theme from the Simple Stories items helped with capturing awesome moments from my trip and with my friends. It takes out some of the guesswork and simplifies creating a wonderful album.